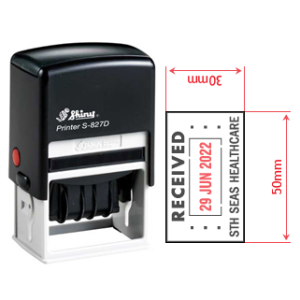 Black ink with a red date. 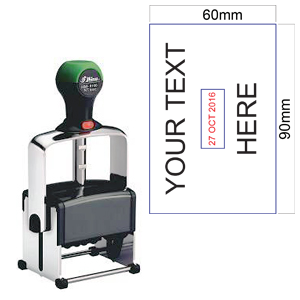 Size: 4mm character size in middle with custom text across top and/or bottom of plate. 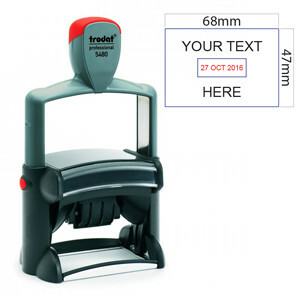 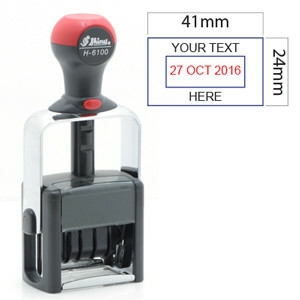 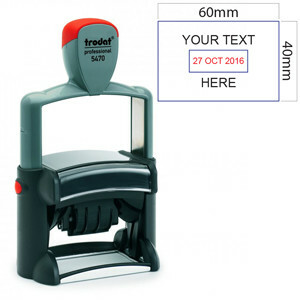 Function: Dater stamp with customisable text.